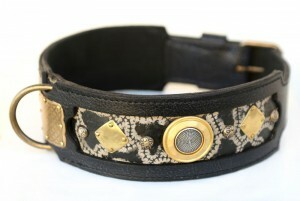 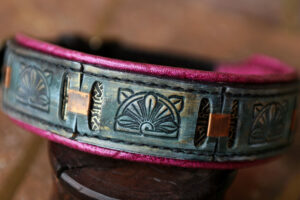 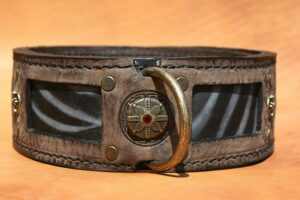 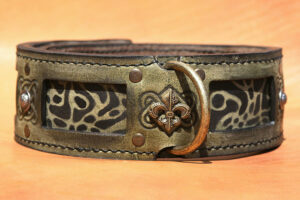 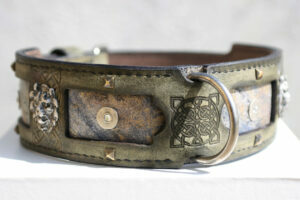 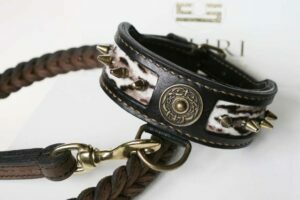 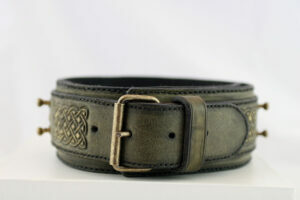 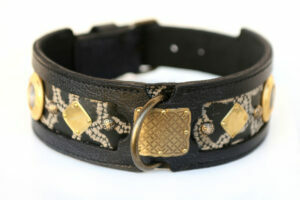 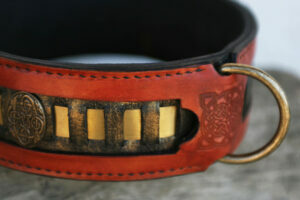 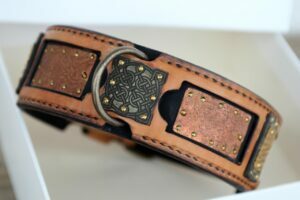 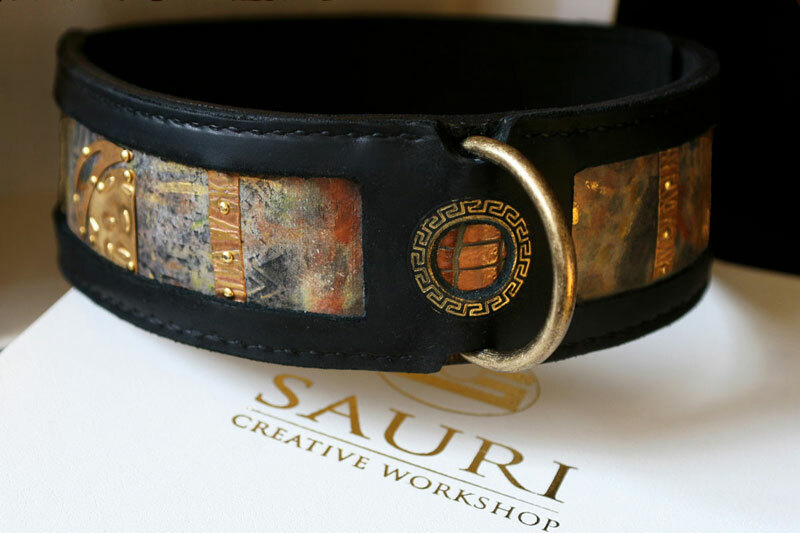 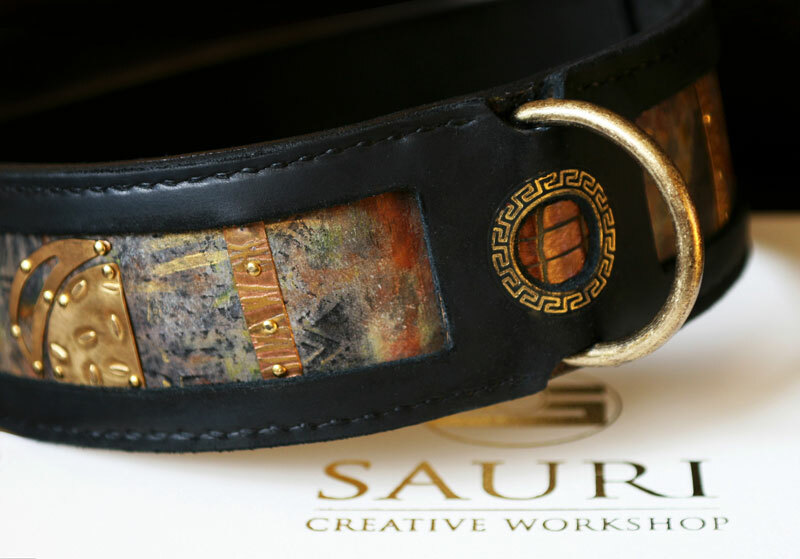 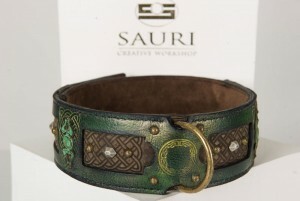 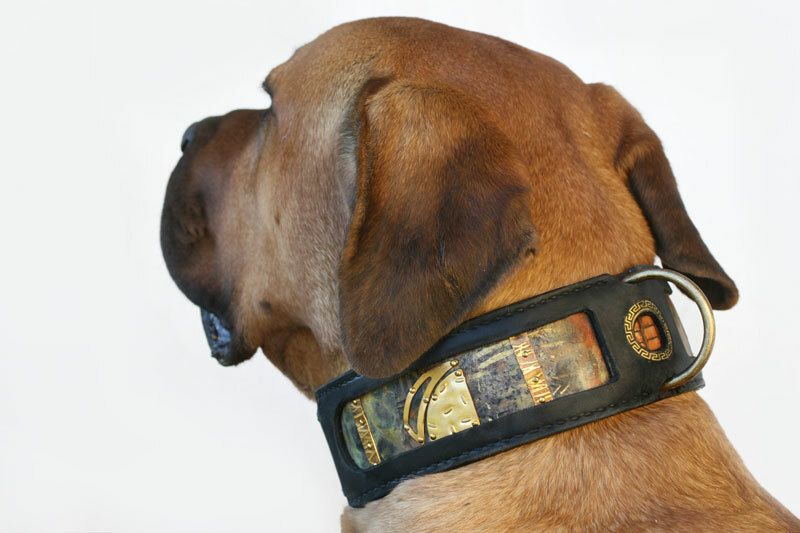 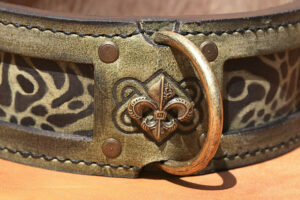 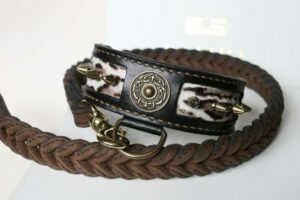 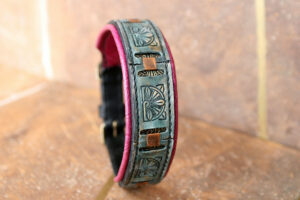 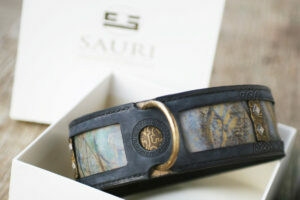 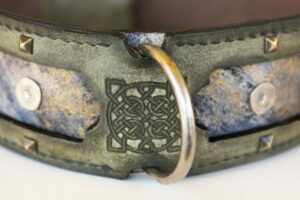 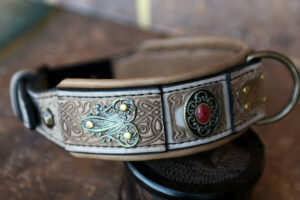 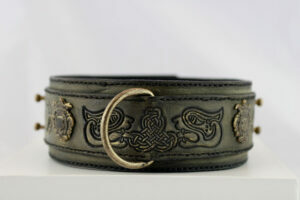 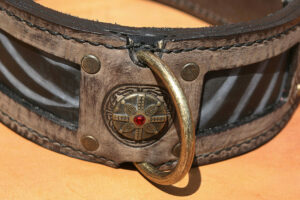 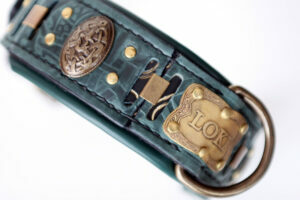 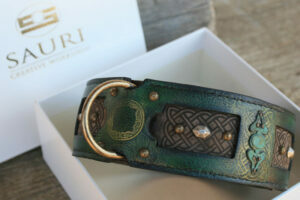 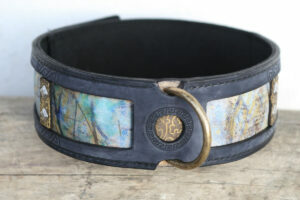 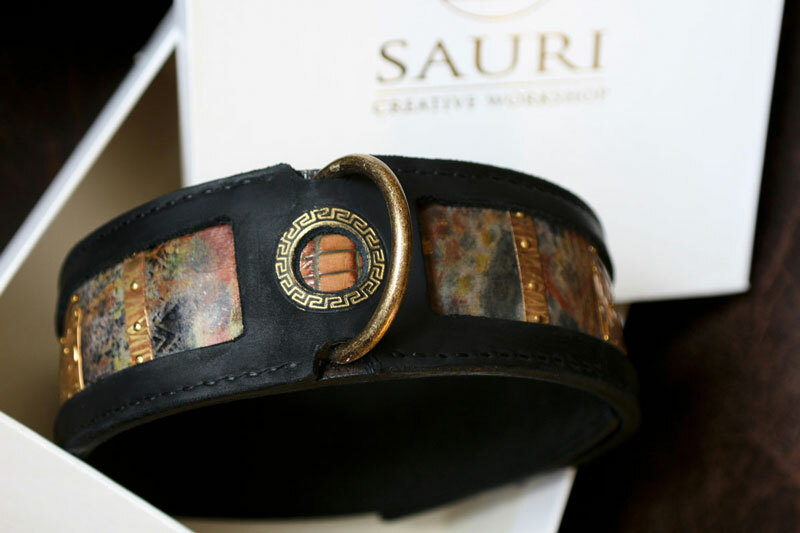 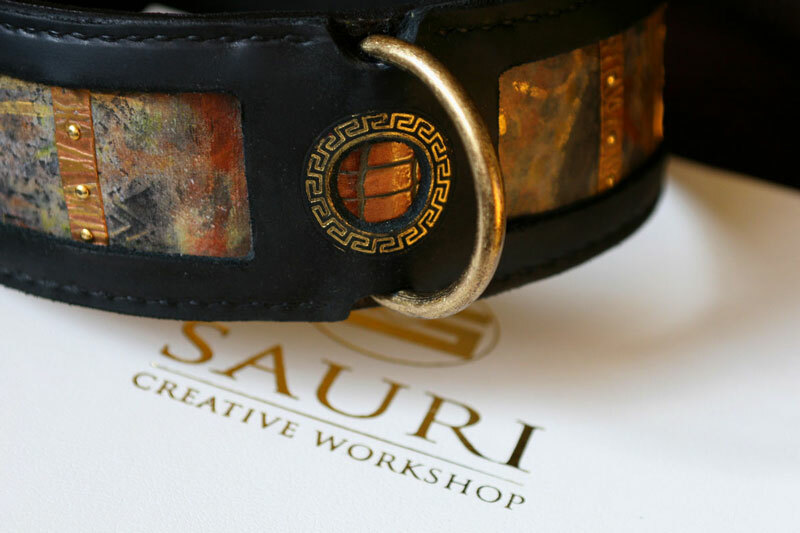 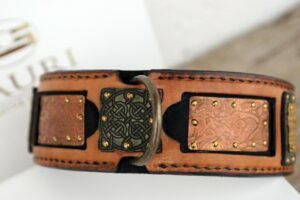 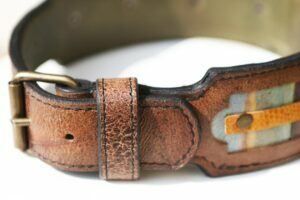 SKU: UC023 Category: Leather Dog Collars Tags: Dog walking, Embossed leather, Fancy leather, Handprinted, Large dog breeds, Ornamented, Uniquely designed, vintage Brand: Workshop Sauri | Leather dog collars. 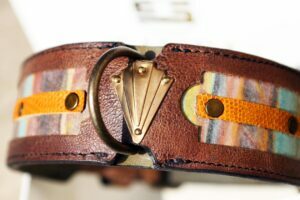 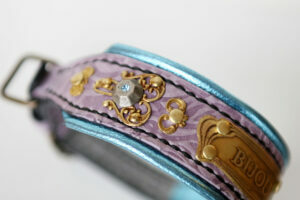 The underlying leather unique hand print resembles Austrian secession style paintings mixing blue, purple and golden tones. 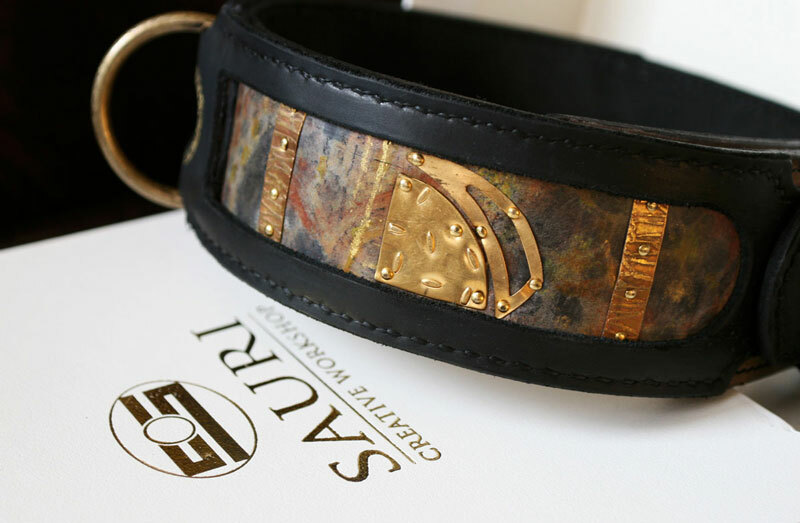 Neatly nailed vintage brass plates enclose the impression that if Gustav Klimt had a molosser dog he would have chosen this collar to walk him around Vienna. 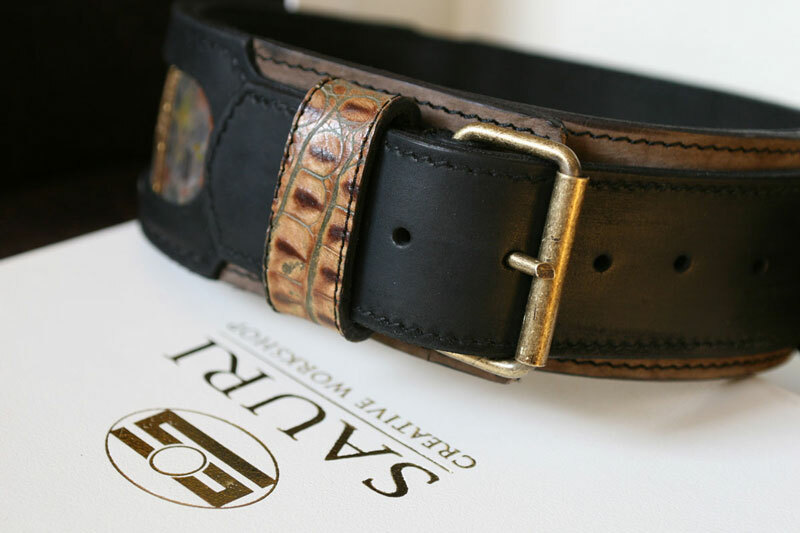 The foreground leather is black in color with central golden circle embossing and crocodile leather texture details.